The project “Prevention mosaic of Poasje (PmP)” which is co-financed under the Norwegian Financial Mechanism Programme 2009-2014 was presented yesterday. This is a regional prevention project for the prevention of lifestyle-related diseases which gives emphasis to the prevention of alcohol addiction. The project implementation will start in April 2016 in the area of the region spodnje posavska regija. PmP covers prevention activities for children, adolescents and parents, inter-institutional networking, counselling for families, couples and individuals, street work with young people. Individual activities under the project include, inter alia, inter-institutional and interdisciplinary network “Posavje for health”, aimed at inter-institutional cooperation, information, peer education, finding common system solutions and exchange of best practices. The aim of the street work pilot project is to reach young people who have already developed risk behaviours. Psychotherapy and counselling in Krško and Sevnica focuses on involuntary users and for this purpose a counselling centre will be established in Krško in May. Preventive activities for adolescents “In Posavje we party without alcohol and drugs” are implemented for students in primary and secondary schools. Pilot prevention project for children of the second triad of primary school will also be implemented. Parents will be reached by the project through preventive interventions in the workplace. MC Krško acts as Project Promoter, project partners are Social Work Centre Krško, Family Institute Zaupanje, Association Srečanje and Community Health Centre Krško; external partners will also participate in project implementation. 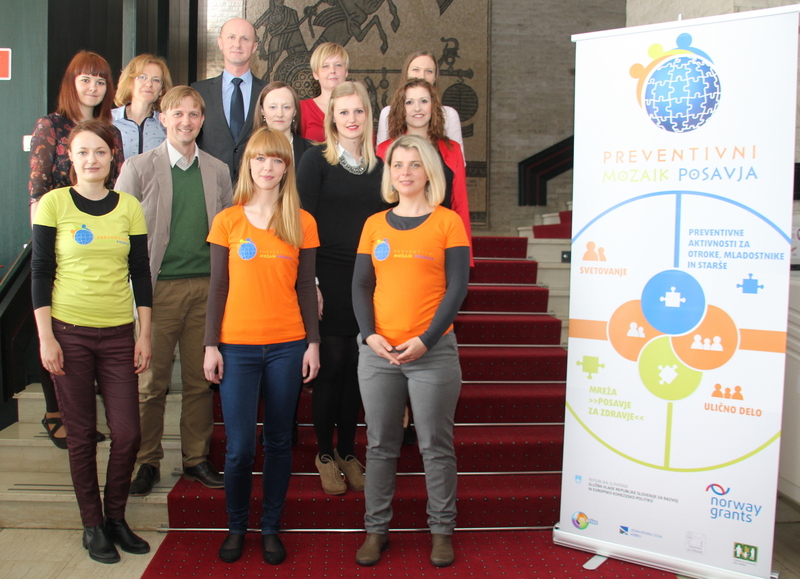 The aim of the project is to encourage institutions working in the field of prevention in Posavje to participate and thus build a mosaic which will contribute to the prevention and reduction of lifestyle-related diseases.